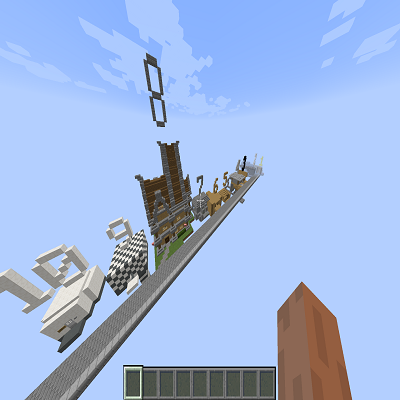 This is a custom Minecraft map , featuring the Top 10 Traps in Minecraft. Some of them use redstone and some of them are redstone-free :D.
When you download the map (un-zip the file and put it in your .minecraft > saves) you go in the map and using creative you wander around the traps. You might want to try them in Survival Mode and then see how they actually work, so that you can make them yourself in another world. Some of these traps are awesome and you should totally check this map out! Not all of these traps were my idea. If you need a tutorial on how to build these traps leave a comment in the same video (https://youtu.be/s01bBOmpmwE) in my channel and I will be making one. Have Fun using my map!